DP UnitFor metalcasters to be successful today, the formula is simple: produce more high quality castings with less equipment, people, and maintenance. In many foundries, the shakeout has been an expensive roadblock to this path of success. Decades-old foundry technology has contributed to increasing operating costs while limiting the ability to adjust to ever-changing customer demands. A radically new technology, however, stands ready to put those old shakeouts in the industrial museum. The new patented Delta-Phase® Shakeout (patent #5,615,763) will improve your foundry’s bottom line by reducing maintenance costs, reducing or eliminating casting damage, and maximizing sand removal. Perhaps more importantly, this single machine can handle a wide range of molding processes, mold sizes, metal types, and casting designs by adjusting to your ever-changing production demands. Patented Delta-Phase shakeouts provide ultimate process control. Available in low, medium and high frequency designs with direct drive force or natural frequency designs. 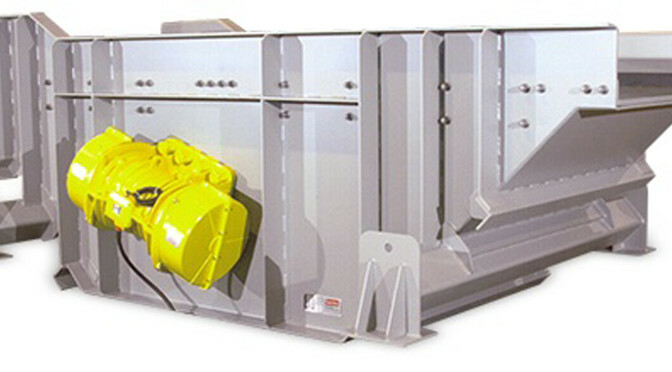 Used for sand to metal ratios as low as 5:1 and as high as 60:1. Direct drive design prevents overstroke during upset conditions caused by wet, sticky sand. Natural frequency designs handle heavy duty applications with very low energy consumption. Mounted on soft isolation springs to reduce the dynamic reaction transmitted to the foundation. Barrel Horse™ shakeout machine provides the above features while gently blending the molding sand with the castings. Also provides homogeneous, conditioned sand and cool, clean castings. Extremely useful handling fragile castings commonly damaged by rotating drum shakeouts.